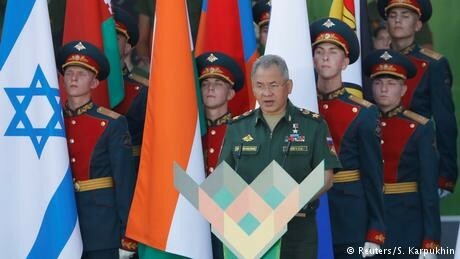 The International Army Games — now in their fourth year — were founded by the Russian military in 2015. More than two dozen stages are held in different locations, not just in Russia, but also in participating neighboring states, among them China and Kazakhstan. Russia’s defense ministry invited all NATO member states to take part in the games, but apart from Greece, they stayed away. Russian allies Syria and Iran took part in the 2018 competition as well as Israel.